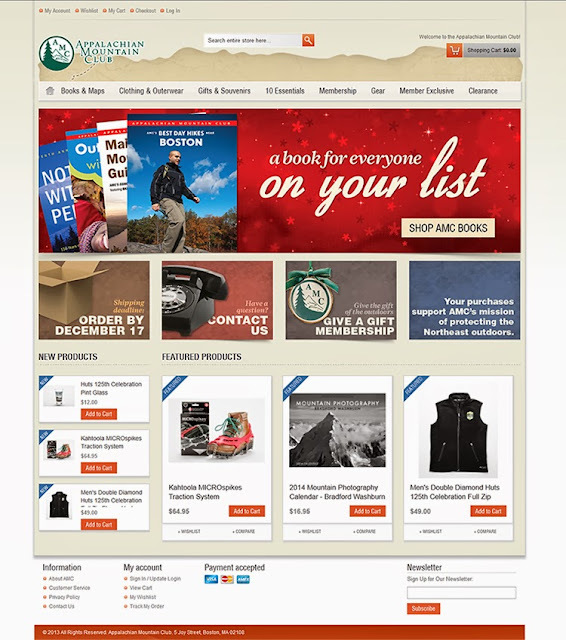 Appalachian Mountain Club News: 'Tis the Season to Shop AMC's New Online Store! 'Tis the Season to Shop AMC's New Online Store! We are pleased to announce the launch of the new AMC onlinestore!